SAN DIEGO is the second largest city in the state and the seventh largest in the country. Within its borders of 4,200 sq. miles, San Diego County encompasses 18 incorporated cities and numerous other charming neighborhoods and communities, including downtown’s historic Gaslamp Quarter, Little Italy, Coronado, La Jolla, Del Mar, Carlsbad, Escondido, La Mesa, Hillcrest, Barrio Logan, Chula Vista and more. Known for it’s near-idyllic climate, 70 miles of pristine beaches, and dazzling array of world-class family attractions (including the world-famous San Diego Zoo and Wild Animal Park, SeaWorld San Diego and LEGOLAND California), San Diego offers a wide variety of things to see and do, appealing to guests from around the world. Plus, San Diego’s arts and culture and culinary arts are making a name for themselves, both nationally and internationally. When combined with its 92 golf courses, luxury spas, multicultural celebrations, disability accessibility, and dynamic downtown, it’s not hard to see why San Diego is the place to live. 25 miles northeast of San Diego, 4S Ranch is built on the same model as traditional California communities. With tree-lined neighborhood stress, a traditional town center, a 4S Commons everyone can enjoy, and plenty of parks, this ranch hearkens back to more community-centered times. That’s not to say it doesn’t offer modern amenities though, from great shopping and dining to great schools. Surrounded by lakes and mountains, 42 Ranch also features plenty of open space and fabulous trails. Nestled 25 miles north of San Diego lies Cardiff-by-the-Sea, also known as Cardiff. This coveted beach community has something for everyone. Whether you want to take a stroll on its stunning beach, enjoy dinner at Restaurant Row with a view of the Pacific, camp at Elijo Beach Campground, surf the Cardiff Reef, or just enjoy breathtaking views, this is the community for you. You can walk to the market, post office, and library in Cardiff so you never to miss out on the great weather. 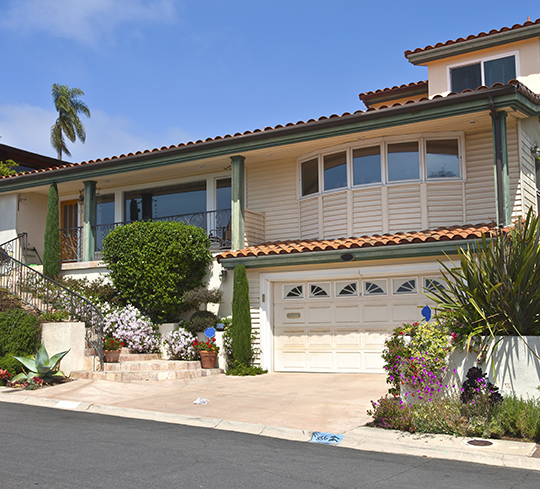 Carlsbad is a standout community nestled along the coastline coastal just 35 miles north of the City of San Diego. It’s bordered by the ocean, mountains, and lagoons. With over 100 years of history behind it, it’s not surprise Carlsbad has cemented its claim as “The Village by the Sea.” If you love to explore, don’t miss the Carlsbad Caverns. If you love to eat out, you’ll have a wealth of restaurants from which to choose. And if you just want to relax, well… look around. Just 20 miles north of San Diego lies Carmel Valley is a vibrant neighborhood offering great opportunities to live, work, and play. Great schools and high-end housing are major draws to young families, but there’s a little something for everyone in Carmel Valley. From beaches to golf to trails to shopping and dining, you’re sure to find something to entertain you in this neighborhood. If you’re looking to blend small town charm with big city activities, Carmel Valley is for you. You won’t want to miss the Chili Cook-off, Summer Serenades concert series, holiday festivities at the three local shopping centers, and other local fun. Surrounded by water and steeped in history, Coronado has been aptly nicknamed The Crown City. Pairing stunning views with beaches, parks, and golf, you just might find your dream home in Coronado but you definitely won’t be spending all your time inside it. A carefully planned community, Coronado is able to comfortable support both residents and commercial pursuits while maintaining village-like quaintness. Plus, Coronado boasts fantastic schools, fabulous restaurants, and friendly residents! It’s a winning combination you won’t want to miss. Del Mar (the name means “of the sea”) is located just 20 miles north of downtown San Diego. The coastal city’s special appeal is its small-town atmosphere, beautiful beaches and the Del Mar Fairgrounds, home of the famed Del Mar Thoroughbred Club. Founded by Bing Crosby and his friends in the 1930s, the crooner made the charming beach community of Del Mar a household name when he and his Hollywood buddies built the Del Mar Racetrack. Del Mar is also home to stylish restaurants, a horse polo field, and hot-air ballooning. With six miles of the Pacific coastline marketing one of its borders, Encinitas takes full advantage of its prime position and beautiful climate. It’s flower growing industry lends revenue to the city, but non-growers can enjoy blooms in Encinitas, too. The city offers Quail Botanical Gardens and the gardens of the Self Realization Center to the public. Encinitas also has golf courses, a coastal shopping district, restaurants and cafes, and noteworthy beaches with great surf. Conveniently situated with easy access to beaches, entertainment, and fine dining, La Jolla has earned its name, which means The Jewel in Spanish. Just 15 minutes from downtown San Diego, La Jolla blends Southern California breeziness with European luxury living. It’s also home to notable establishments including the Scripps Institution of Oceanography, the Stephen Birch Aquarium & Museum, and the University of California, San Diego. It’s commercial side is also taking off, thanks to software and biotech companies. 35 miles north of San Diego and 83 miles south of Los Angeles, Oceanside blends city convenience with small town comfort. Easy access to metropolis offerings isn’t the only thing Oceanside has going for it, either. This community is ocean-side (as you may have guessed), has competitively priced land, and offers a wealth of resources to its residents. From its famous wooden Pier to its historic district of Mount Ecclesia, Oceanside has taken its history into its modern age. Pacific Beach, also known as PB, is surrounded by water. With Mission Beach and Mission Bay to its south and the Pacific to its west, it’s no surprise that Pacific Beach has built its identity on being a beach town. Whether you want to bike or rollerblade along the water, shop for beachwear, enjoy a meal with an ocean view, or just relax in the sand, PB can satisfy. Plus, Pacific Beach’s nightlife scene—centered around Garnet Avenue—ensures it will continue to draw younger residents and sustain the community. Worth Magazine, which ranks luxury communities in the U.S., has awarded Rancho Santa Fe their first place badge. It’s no surprise why. Less than 30 miles north of San Diego, Rancho Santa Fe was established about 70 years ago specifically for the wealthy. Bing Crosby happened to be one of the first homeowners. Today at “The Ranch,” even modest homes sell for well over $1 million. Rancho Santa Fe offers a library, a resort inn, a few restaurants and stores, a post office and two public schools. Around the community, you’ll find small hills, surrounded by open fields, grazing horses and range groves. Less than 30 miles northeast of San Diego, Santaluz boasts fantastic coastal vies and amazing golf courses. Tucked in the San Dieguito River Valley, this village is made up of just 3,800 acres on some of the highest knolls, giving its residents picturesque panoramas of the Pacific. With just one home per four acres on average, Santaluz is the perfect refuge for people looking to enjoy our area’s natural beauty, a day on the course, and peace and quiet. Your sense of calm is protected, since Santaluz has guarded gate access. 22 miles north of San Diego lies Solana Beach, tucked between Del Mar and Encinitas. Bordered by the Pacific, golf courses, Lagoon Regional Park, and Del Mar Racetrack, Solana Beach offers its residents plenty of entertainment, attractions, and natural beauty. The local downtown is charming, mixing art galleries, antique stores, other shopping, restaurants, and resorts while still offering beach access. The schools are also notable; Solana Beach schools regularly earn marks in the high 90s. Plus, if you’re working in downtown San Diego, you can easily catch a commuter train to work and back again to your idyllic neighborhood.